mandating strict requirements for airtightness. no more failed blower door tests. AeroBarrier is an innovative automated envelope sealing technology that aims to make energy efficient and performance homebuilding attainable for all builders. Certified as GreenGuard Gold and Built Green, our sealing technology safely and effectively seals the entire building, eliminating the problems and shortcomings of traditional construction techniques and replacing manual labour with an automated, computer-driven, precision-controlled operation. Enter BC Energy Step Code. 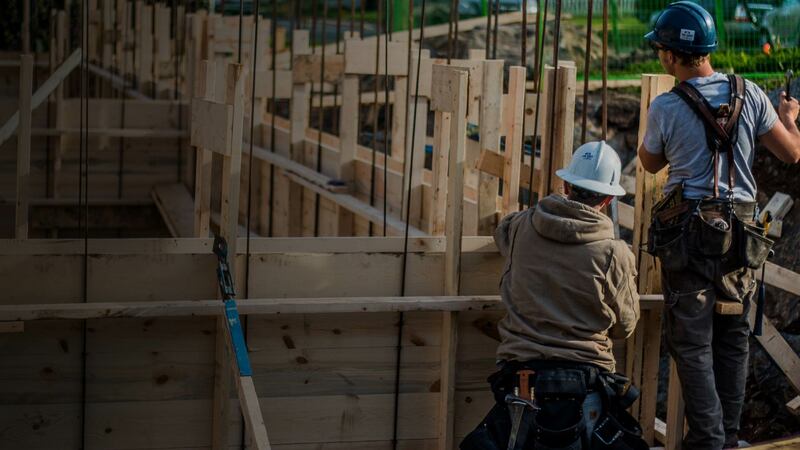 Beginning 2019, municipalities throughout BC will be mandating strict requirements for airtightness. Are you ready for this? What does this mean to you as a builder? 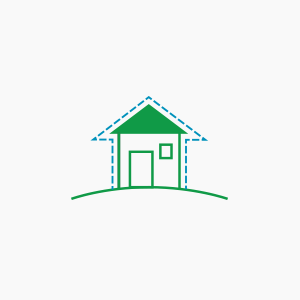 Builders – you must build homes with minimum airtightness requirements of 2.5ACH. Applying traditional materials such as membranes, tapes, and caulking sealants has always been the method of choice when attempting to create an airtight home; however, with the introduction of Step Code, those may no longer be sufficient. The challenge now is to balance efficiency, time, and cost in order to achieve 2.5ACH. What is your plan going forward into Step Code? With our specialized application, your home will not only meet, but exceed municipal requirements. In fact, it is possible to completely future-proof your home to Step 5 levels prescribed for the year 2030. Most People spend 90% of their times indoors. Leaky homes have more toxins than outdoor air. Working in conjunction with a Heat Recovery Ventilator (HRV), an airtight energy-efficient home removes stale indoor air and introduces filtered fresh air for its occupants. And AeroBarrier has no off-gassing unlike other spray foam sealing altenative solutions. 40% of CO2 emissions are from buildings. Most building emissions are due to overrun HVAC units. 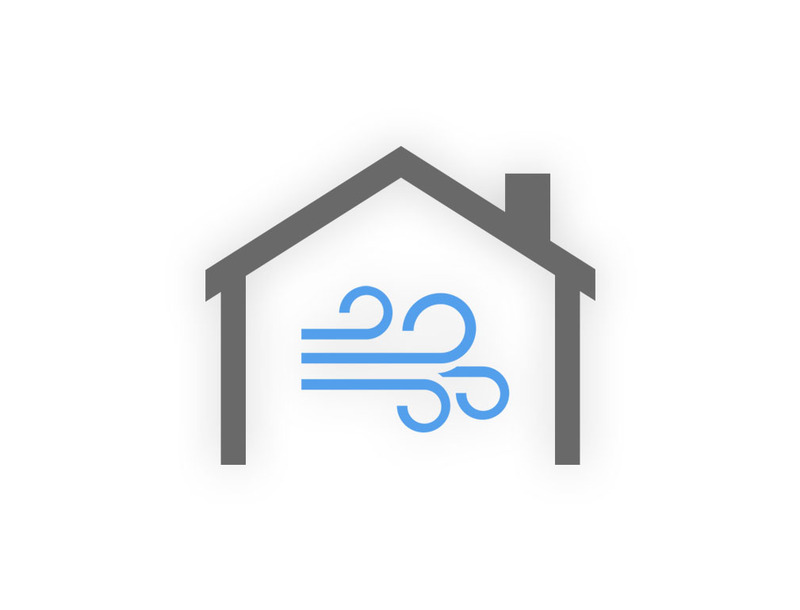 AeroBarrier means a home with less energy demand and a reduction in outdoor air emissions, both of which are always a good thing. 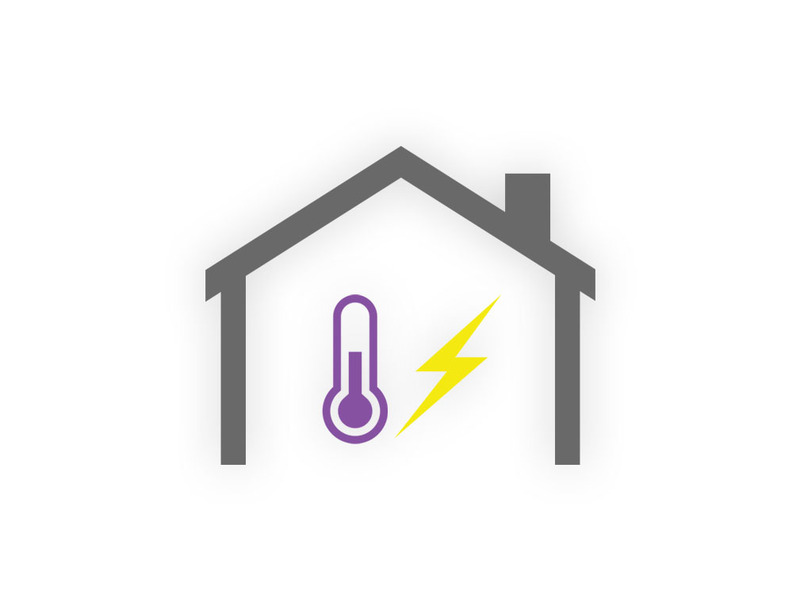 70% of energy use is for heating and cooling. Tight buildings need less energy to stay comfortable. A well-sealed home is a Zero Energy Ready Home. And AeroBarrier is a low-cost solution to costly air leaks and high energy bills! 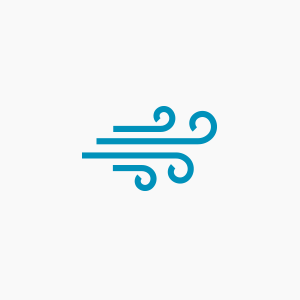 We blow strong winds into the building with a specialized fan. The build-up of air pressure forces the wind to leak out of holes, cracks and gaps throughout the structure. A measurement of air leakage is recorded. 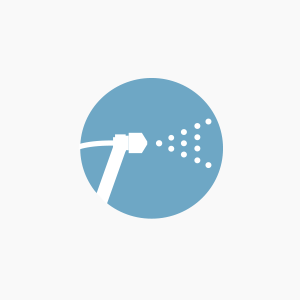 By using nozzles strategically placed throughout the building. The air pressure then carries the fog of sealant to the holes, cracks and gaps of the structure. The air leak gets plug as the fog of sealant is pushed out the building. The difference in temperature and humidity forces the airborne sealant to then coagulate and reform as a solid sealant plugging the holes, cracks and gaps of the structure. The building get sealed all at once with our patented computerized process. 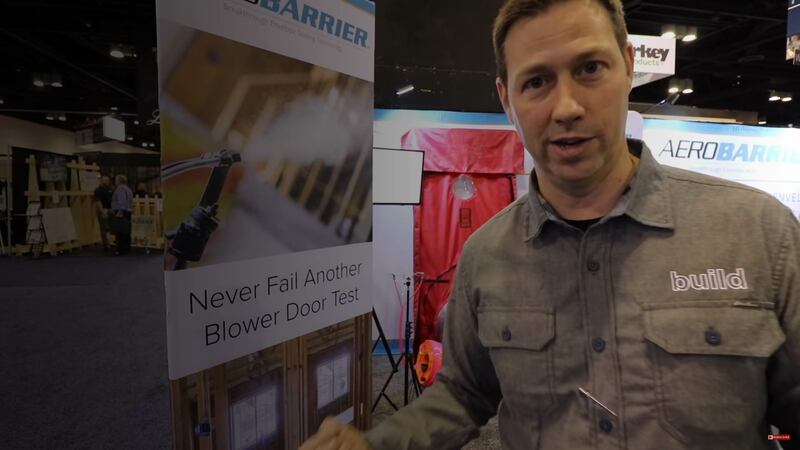 No more guesswork, no more mess, no more failed blower door tests. 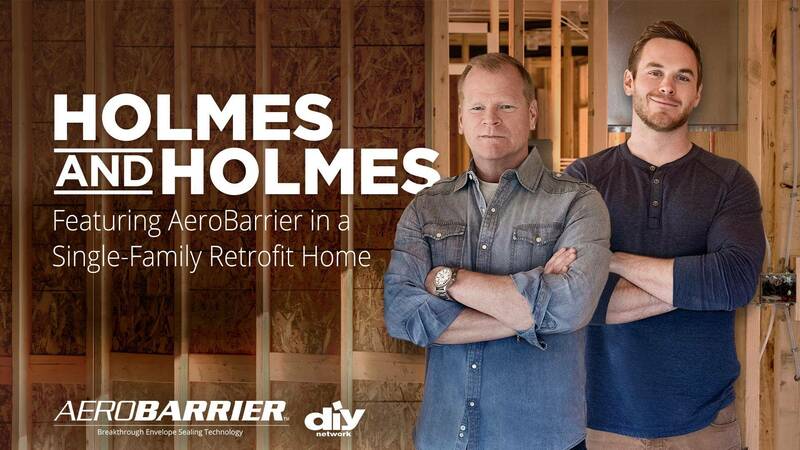 AeroBarrier joins up with Mike Holmes and his son Mike Holmes, Jr. on the DIY Network show Holmes and Holmes to tackle a leaky home under construction ane the results are truly impressive! 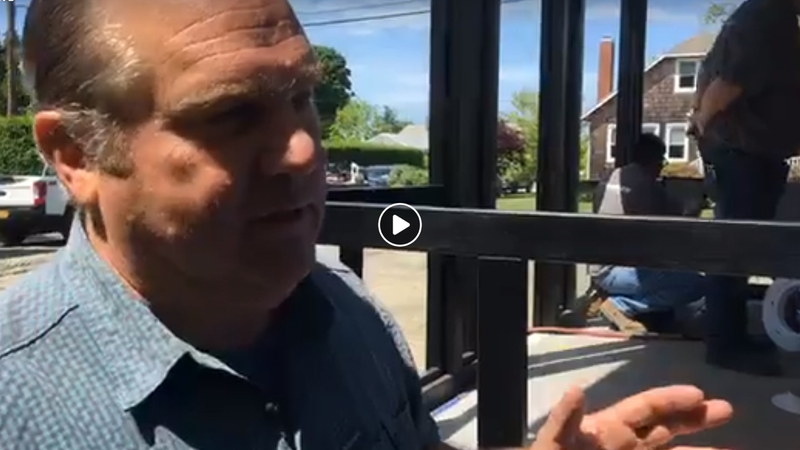 Kevin O’Conor and the rest of the folks of the homebuilder show This Old House introduces AeroBarrier to seal this home under construction in Jamestown, VA. (this is only the sneak peek). The actual episode airs in January 2019 – stay tuned! 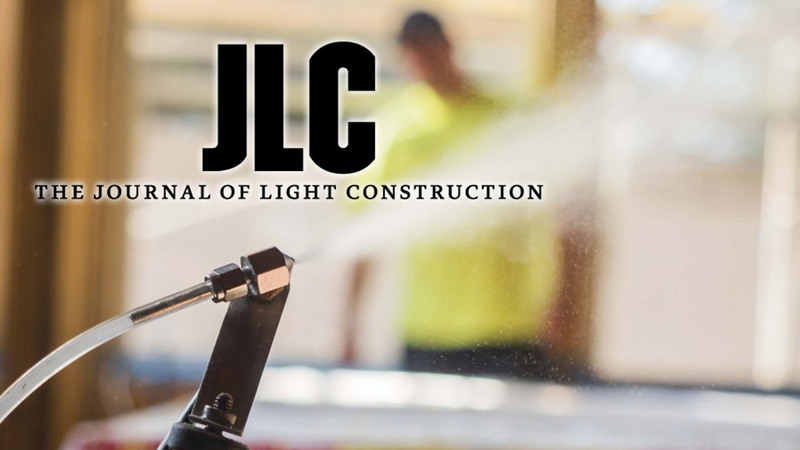 Ted Cushman of The Journal of Light Construction (aka JLC) breaks down the AeroBarrier process and weighs in on the results of the homes AeroBarriered by Geoff Ferrell of Mandalay Homes in Prescott, AZ. 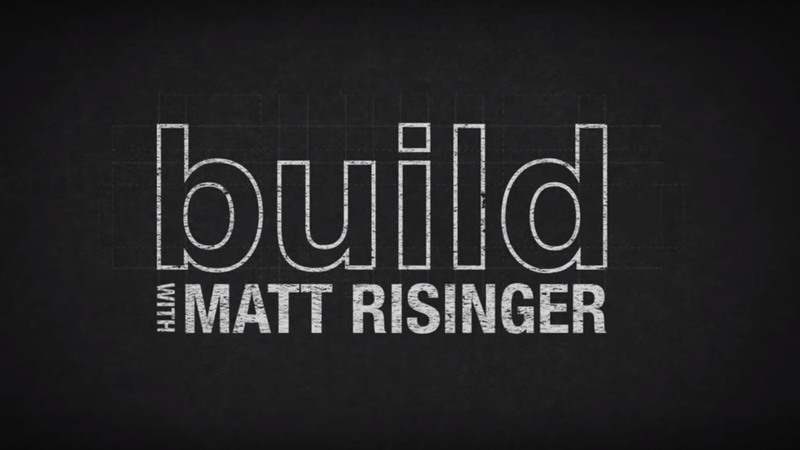 Renown YouTuber and custom homebuilder Matt Risinger invites AeroBarrier to demonstrate and AeroBarrier one of his homes under construction down South in Texas. How is Air Leakage measured? The AeroBarrier system uses a standard blower door device to measure envelope leakage in real-time during the process. 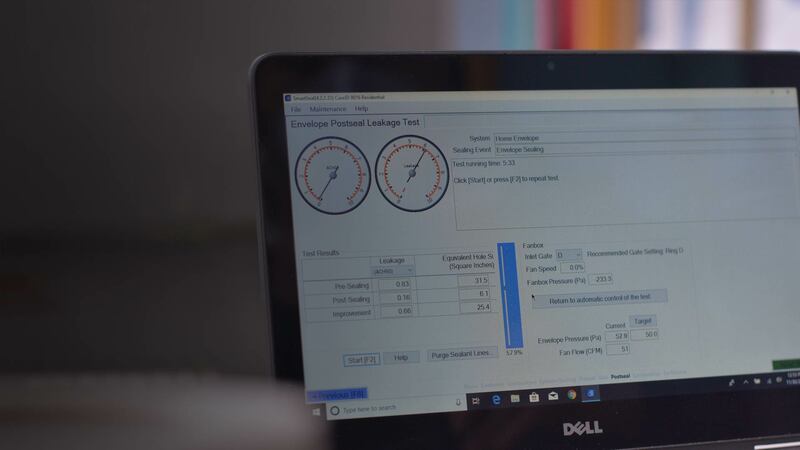 The system tracks air leakage using three different metrics: Normalized Leakage Area (in square inches), Leakage Volume Rate (in cubic ft/min or CFM) and Air Change per Hour at 50 Pascals of pressure (or ACH50). The blower door device is calibrated to meet ASTM Standard E779, E1554, CGSB-149.10-M86, EN 13829, ATTMA Technical Standard 1, NFPA 2001, RESNET and USACE. How long after the sealing process can work resume in the space? The area needs to be aired out for 30 minutes after the sealing is complete. This is done by opening doors and windows while running the fan. But work can resume in the space as soon as the sealing equipment is removed and 30 min has passed. Is the sealant safe to use inside the home? Yes, the AeroBarrier sealant is GreenGuard Gold Certified, meaning that it is both safe to be used inside a home, and also meets the stricter certification requirements for use in schools and healthcare facilities as well. Can the sealing be performed in cold weather? The AeroBarrier process requires temperature control and pressurizing the areas to be sealed. Ideal conditions is an outdoor temperature of ≥ 5˚C. Sealing can be done below 5˚C but may require additional steps for the preparation. What surfaces need to be protected? If AeroBarrier is applied at rough-in or right after drywall is installed, there in very minimal preparation required. Vertical surfaces like walls and windows require no covering. All designed openings, such as ducts, electrical and plumbing, need to be covered prior to sealing. All finished horizontal surfaces need to be covered. What sized leaks can be sealed? AeroBarrier seals holes as large as ½”, and as tiny as a human hair. Aerosol sealing is extremely effective at sealing narrow gaps and extremely small holes that are typically not cost-effective or are missed during manual sealing. What is the lifecycle of the product, or how long does the tight seal last? Third-party lab testing reveals AeroBarrier withstands a simulated 50-year durability test, with little or no seal degradation. Isn’t it bad to completely seal a house? All new houses in BC require a ventilation strategy in place to make sure fresh air is brought into the house so this won’t be an issue. In a majority of the cases, a Heat Recovery Ventilator (or HRV) is the mechanical appliance that is installed to exhaust stale air and draw in fresh outdoor air, providing for higher indoor air quality. How much does AeroBarrier cost? Cost will depend on the construction phase and targeted air tightness levels. Once we have your job specifications (size of home, existing airtightness level, etc), we provide a written quote within 24 hours. Call us at 604-222-2100 or email us at info@pacificaerobarrier.com to talk about your project. The entire AeroBarrier process, from setup to completion, takes approximately 4 – 6 hours for a typical single-family home. 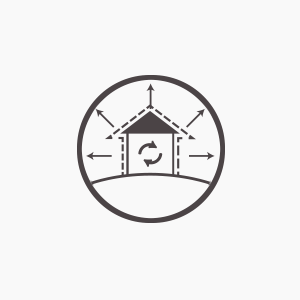 When targeting reduced envelope leakage levels of Passive House or ZERH, additional time may be required. What is in the stuff being sprayed? The AeroBarrier sealant is based on a waterborne acrylic that has been used as a fluid-applied permeable air barrier for many years. The sealant is GREENGUARD Gold-certified and has been tested according to various ASTM standards and NFPA 285, for fire spread, smoke production, adhesion, antifungal properties, tensile strength, etc. The sealant is low VOC and has no off-gassing. Is it safe to breath during application? No, just like one would not enter an active paint booth without wearing personal protective equipment (PPE), similar to those worn by painters when spray painting. During application, if a technician has to enter the space while it is being sealed they wear PPE. After the sealing is complete, the area is safe to enter without protective gear within 20 to 30 minutes. At what stage of construction is AeroBarrier applied? AeroBarrier may be applied at any time between after framing inspection is complete and prior to occupancy. Although, the ideal time to apply AeroBarrier is post-drywall. Other factors that effect install is build process and climate zone. Contact us if you have a project where you’d like to apply AeroBarrier, or if you have any questions or comments for us. Follow us on Instagram for further updates and news releases!